Home Articles Gaslighting Gaslighting: Could You Be Missing the Signs? Gaslighting is a term that describes a type of emotional and psychological abuse in which an abuser convinces his or her victim that the abuse he or she is remembering didn’t actually occur, or wasn’t nearly as severe as the survivor remembers. DomesticShelters.org touched on it last year in this article, “ What is Gaslighting?” But we wondered, if the whole point of this insanity-inducing tactic is to make you, the survivor, doubt yourself, how can you trust your own instincts that you’re being gaslighted to begin with? Withholding. Your abuser pretends he or she doesn’t understand what you said or simply refuses to listen, shutting you down when you try to confront him or her about abusive behavior. Countering. Does your abuser tell you that you aren’t remembering things correctly, even when you’re sure you know what happened? Diversion. If your abuser keeps changing the subject each time you bring up their abusive tactics, or blocks you from even talking about it in the first place, such as by saying, “Let’s talk about that later,” or “You know your memory isn’t the best,” this is yet another gaslighting technique. Forgetting. How convenient that the abuser seems to constantly forget the sequence of events that occurred. If he or she consistently says things like, “I don’t know what you’re talking about,” or “That never happened,” this is gaslighting. If you simply feel like you can’t trust your own instincts anymore—and you don’t have a history of questioning yourself or your ability to judge people or events in the past—this could be a sign that your abuser’s tactics have begun to work. Psychotherapist Robin Stern, PhD., told Psychology Today that survivors of gaslighting may start to feel a sense of disbelief at first. They may feel like their partner is “acting weird.” Then, survivors will become defensive over time—yes, you do remember what happened and no, you aren’t being too sensitive. But continued gaslighting by your partner can lead to depression. You are frantic to please your partner and can’t figure out why you’re not able to. You may be constantly apologizing to him or her. You may begin to feel isolated from friends and family because no one understands why you’re staying with someone so difficult to please. You lose confidence and, in turn, hope. Experts agree, abusers use gaslighting to undermine and manipulate. They want you to feel unsure about your memories and to doubt your beliefs of what occurred. This way, the abuser can continue to exert their power and control over you with less of a chance that you’ll protest, question their motives or think about leaving. If these signs and symptoms are setting off warning bells for you, reach out to a trained domestic violence advocate who can help guide you out of this abusive maze. 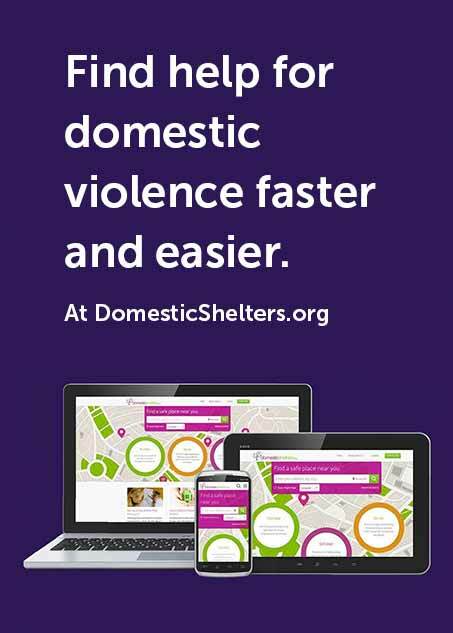 Find an advocate near you by entering your ZIP code at DomesticShelters.org.